All the same benefits to living in a tiny house are found in LED lighting. If you chose to live in a tiny home because it was compact, LEDs are also compact. If protecting the environment is your main concern, light emitting diodes are the eco-friendliest form of lighting available. Here are the top six benefits of having LED lighting in your tiny house. There are no glass enclosures or filaments in LED light bulbs. This means they can withstand vibrations and heavy impacts. They are kind of like smartphones. They are connected with soldered leads on a circuit board. It is possible to damage them, but it’s much less likely than other forms of illumination that feature glass in their construction. You need fewer diodes to light your house than you would need bulbs. For instance, to get the illumination of a 36-watt diode, you would need an 84-watt incandescent bulb. This can reduce your carbon footprint by as much as 70 percent. And, 95 percent of the power they take in is converted into lighting. Also, LEDs are brighter than incandescent bulb counterparts. When you install them inside and outside your tiny home, you make it easier for everyone to see, which makes your property safer. Also, they do not contain mercury or other hazardous materials so you don’t have to worry about accidents or special disposal of your diodes. You need more energy to heat up when it’s cold outside. That is the basic science that causes other types of light bulbs to dim in winter weather. LEDs get better as the temperature drops. In fact, according to the Department of Energy, the diodes are five percent more efficient at -5 C than at 25 C. This makes them ideal for everything from your refrigerator to your external lights. LEDs do not actually stop working or burn out. Instead, they just dim over long periods of time. How long? Diodes last anywhere from 30,000 to 100,000 hours. That is up to 11 years of nonstop use. 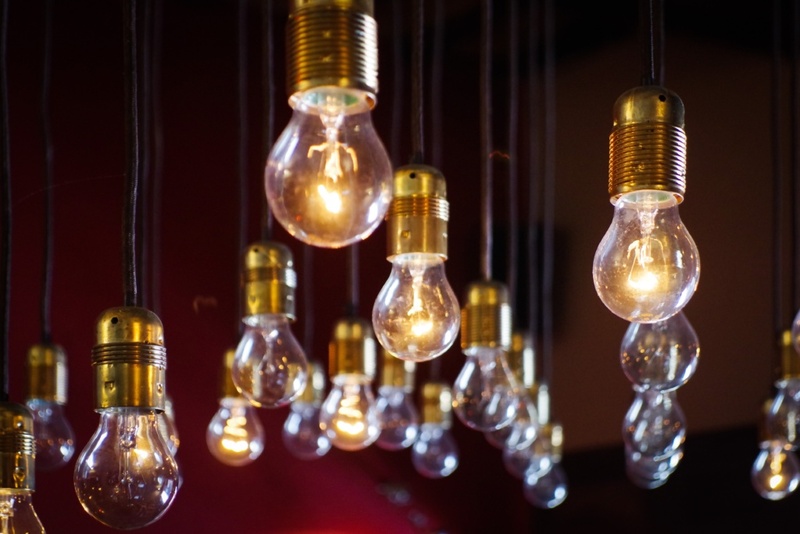 In comparison, incandescent bulbs last about 1,000 hours, and fluorescent bulbs last for 10,000 hours if you’re lucky. If you live in a tiny house because you want to save on energy, then LED lights are a no-brainer. They are the most energy-efficient alternative on the market. They are the best at converting electricity into light without producing telltale heat. Email us today to discuss LED custom lighting in your tiny home! I know, I know! The idea of taking that tiny house on a road trip is so exciting, it gives you Adventure Shivers! I feel the same way. Don’t hyperventilate just yet. Before you succumb to emotional euphoria, let us help you prep for the journey. We have put together a short list of tips for Traveling with THOWs for those who are ready to embark for the 1st time. For tiny houses on wheels built by Seattle Tiny Homes, the road trip is a natural idea, since each one is a licensed RV travel trailer. They can be pulled anywhere that any other RV travel trailer can, and without a special license or permit. It simply feels more like a “home away from home,” because it is! I can’t imagine a more ideal way to explore the Unites States than traveling in my own tiny house, sleeping in my own bed every night, and anticipating each new bend in the road ahead! “Light things upward go; heavy things, stay down low.” When packing, think of this little rhyme that is surprisingly easy to remember. This was a reminder my father taught me when I was young and learning to pack for one of our long camping trips. On these trips, we would drive along many twisty and often frightening dirt roads with steep drop-offs …no guard rails included! These often caused me to squinch my eyes shut tightly but the destination was always worth it! While we can assume your THOW won’t be traveling these sorts of paths, we can guess you will want the most stable load you can have, and this will help. When you’re parked in one place for long periods of time, you often don’t think about weight distribution in the same way you do when you’re traveling. Things to leave out: There are similarities between prepping for a journey and prepping for a tiny life. Minimalism is goodness. Although it’s tempting to bring a lot of STUFF when you head out RVing in the name of preparedness, resist, resist, resist!!! Remember that the concept of going tiny is to live more simply, and that idea doesn’t go away because you’re now on vacation. Challenge those naughty Over-Shopping gremlins that live in your head and ask yourself questions like: “How often do I use this in my daily life?” “Can I buy this elsewhere?” For example, you can usually find water and food along the route, so save weight and space, and don’t pre-purchase too much. Plan your parking: it is worth it to think ahead where you will be driving and where you’ll be parking your tiny house. There are some largely unfounded rumors about RV parks not allowing tiny homes. Tiny homes are usually welcomed just like any other RV, and perhaps even more in some cases. After all, tiny houses are so much fun to look at! 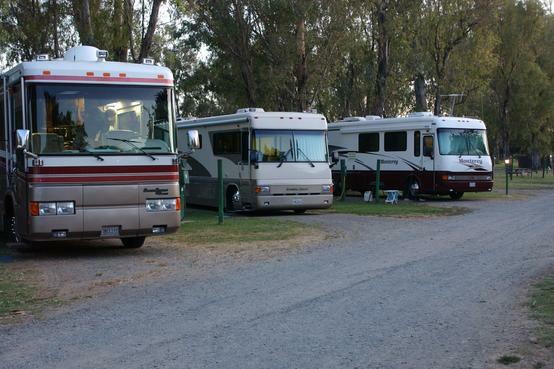 What RV campground wouldn’t like to play host to one for a night or two? We will include some ideas below to help you get started. However, it is a wise tiny home owner who plans ahead, and then you can avoid those RV campgrounds that oddly don’t want a tiny house parked there. Check the weather. Another good trip-planning activity to do prior to hitting the road, and then continuing doing as you travel, is to stay aware of the weather ahead. If you can, change your timeline and route to avoid “non-vacation” weather. After all, even though we love our tiny houses, the point of vacation is to get outside! Sunshine + tiny house = awesomeness! Joy is the point. Don’t get hung up in the details so that you are missing the forest. Expect your THOW vacation to be fun! There are different apps you can use to take some of the stress, headache, and costs out of planning… such as www.rvtripwizard.com. 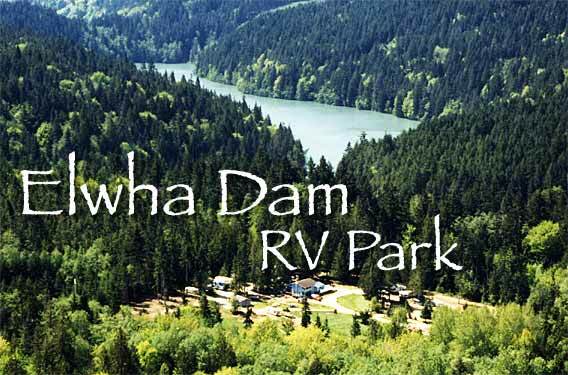 Additionally, to relieve you of some of the planning time, here is a couple of “tiny-house friendly” Camping and RV spots in the Pacific Northwest that we recommend for your tiny summer vacation journey. So get out there and start exploring this fantastic country we call home! We are listing just a few of the places in the Pacific Northwest we would suggest you put on your list to visit on your Tiny Home on Wheels vacation, but remember this is just the tip of the campground iceberg. A very reputable source (a tiny house-dwelling couple that travels with their THOW) has told us : KOA campgrounds are quite welcoming to tiny houses. That is good information to have if the day is growing long and you’re ready to park it for the night… Look for a KOA! from the website: …where you can unwind in comfortable accommodations such as lodge and cabin rentals and full-service RV sites. Enjoy Oregon’s majestic beauty with a variety of on-site amenities including a convenient general store, boat mooring at the marina, and complimentary Wi-Fi. Shelter Cove also allows guests to easily access many of the areas most popular attractions and destinations. 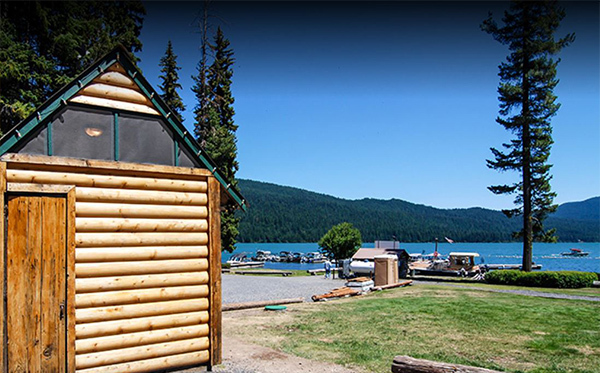 Fishing and boating on Odell Lake, cross-country skiing at the Oregon Cascades, and the serene surroundings of Deschutes National Forest and Willamette National Forest are just a few of the points of interest situated just moments away from our resort. 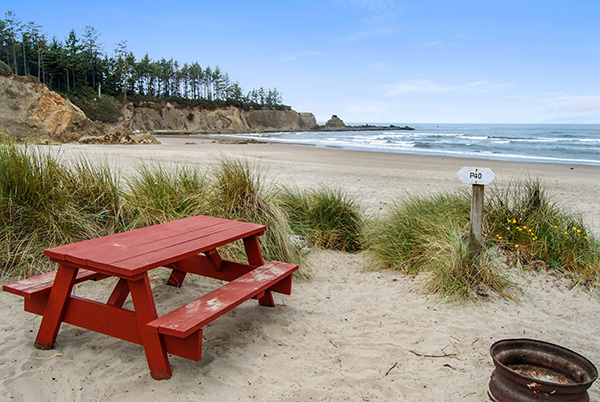 If you are looking for a memorable vacation experience in the heart of Oregon, look no further than Shelter Cove! from the website: They say the grass is always greener on the other side, but if you ask us, the grass is pretty green over here. It’s tranquil and peaceful. Everything I need. Stop by CI RV PARK to see for yourself. We closed the golf course and made it a private park.Escape to what has been considered by many a place to regroup your thoughts. This work in progress is where your mind, body, and soul will relax and become one with trees. We have RV sites for the largest of rigs and can provide storage area as well. from the website: Delta Bay was established in 1988, and is a RV and tiny house resort in California Delta, one hour from SF Bay Area and Sacramento. The natural resort is on a 12 acre forested and grass covered estate. The resort provides convenient access to touring the local wine country, historic river towns, and surrounding wetland wildlife habitats. Visitors enjoy camping, boating, fishing, waterskiing, birdwatching, and relaxing in a peaceful rural setting with friendly service and country club amenities. Each Seattle Tiny Home is completely personalized . . . individually crafted . . . and built to the highest standards of quality. That’s why we call them Seattle Tiny Jewels. Check out one of our latest creations just recently delivered to its new owners. We nicknamed it the “Mahogany Secret” because of its color. Take the video tour below! 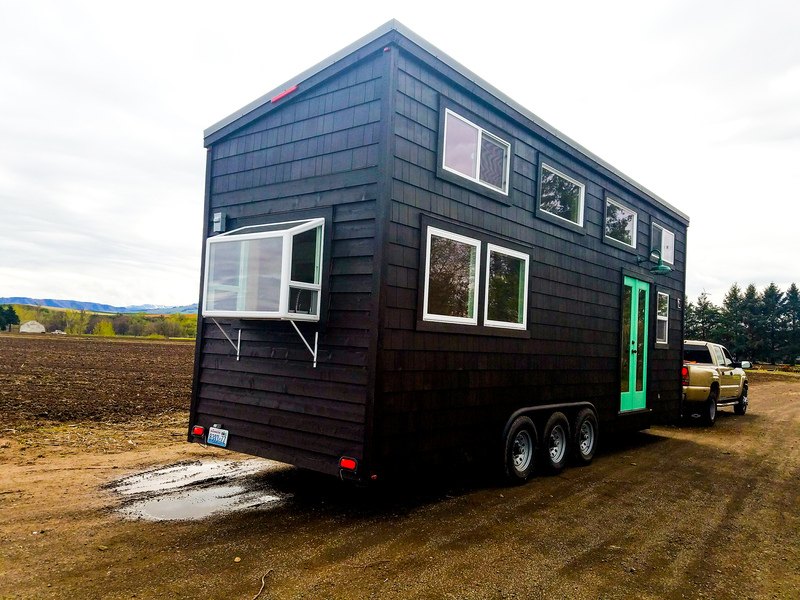 The new “Mahogany Secret” is a spacious, top of the line tiny home that merges a traditional, homey feel with today’s luxurious and modern conveniences. Upon entering the front door you will experience a warm feeling that resonates through the walls and ceiling which are all wrapped in pine. Once inside and in the kitchen one can’t help but notice the stark contrast of the dark butcher block counters against the pine walls. This is where the rustic charm is at its best with a large farm sink, shaker style cabinet doors, and a funky retro microwave. 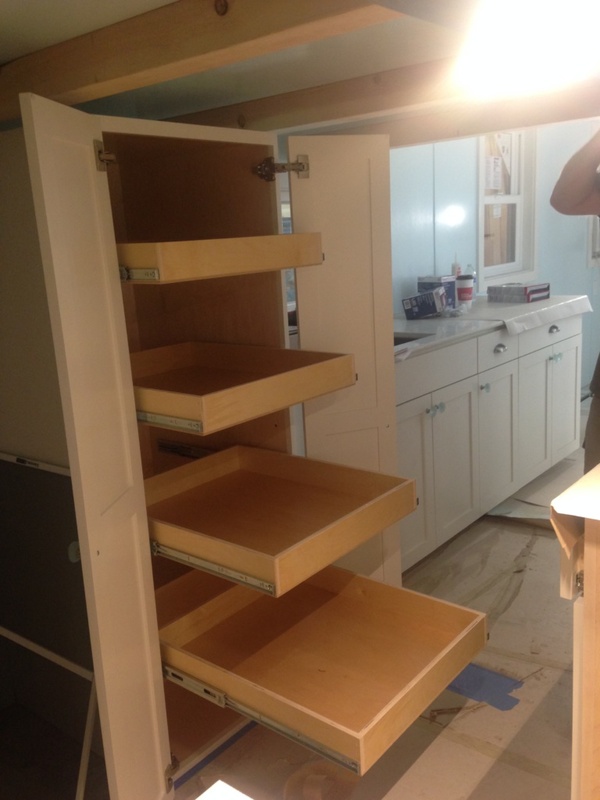 There is also a large refrigerator, and ample storage underneath the stairs. And, if the abundance of windows doesn’t bring in enough light during the winter, you won’t be left in the dark. There is plenty enough light with the overhead can lights and stylish chandelier that hangs in the main room. Once upstairs, you’ll find a great space that is plenty large enough for a king-sized bed, extra storage, and has ample outlets for your electronics with, you guessed it, more windows. Heading back down to the main floor and into the bathroom you’ll notice the rustic sliding barn door that not only separates the two rooms but also acts as a ladder to the second loft. When you’re inside the bathroom you may forget you’re even in a tiny home because it is so spacious and includes a large soaking tub with a subway tile surround, composting toilet and a washer and dryer. The “Mahogany Secret” is a charming luxury Alki model that merges tiny with classic style. Each Seattle Tiny Home on wheels is a certified RV, capable of being pulled by a 3/4 or one ton truck, with no need for special permits or licenses. Contact us today to learn more about how we can design your own personalized Seattle Tiny Jewel! Have you ever felt an earthquake? Do you remember what that was like? Imagine what a house experiences during an earthquake: it has to bounce, bend, stretch, and sway, hopefully all without structural or superficial damage. 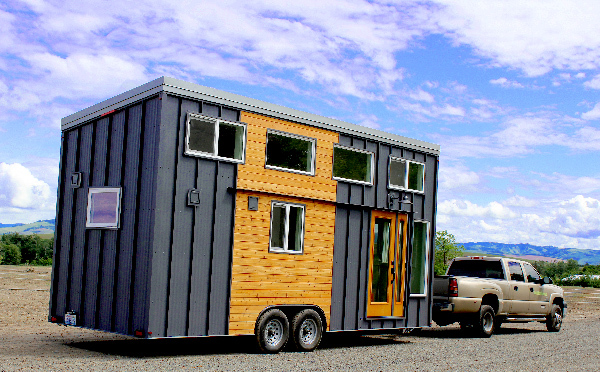 Now think what a tiny house on wheels must endure in everyday travel down the road. Each component of a house on wheels must be engineered to endure the jarring gauntlet of potholes, speed bumps, rumble strips, railroad crossings, and stop-and-go traffic, and come out unscathed on the other side. Though largely invisible, a tiny home’s plumbing is no exception to this rule, and is among the most important systems to preserve intact in a tiny home. At Seattle Tiny Homes, we know how vital a sturdy plumbing system is, both for the comfort and quality of your living experience as well as the protection of your home. We commit to providing you with leading-edge technology that will keep the water flowing for many years to come. Produced by Uponor, Wirsbo AquaPEX crosslinked polyethylene tubing is both simple to install and highly reliable. The strength of the AquaPEX tubing and of the compatible ProPEX expansion fittings makes it an ideal fit for homes on wheels, whose water lines, among other unique stresses, can be susceptible to freezing. Not to worry, says Ben, as the Wirsbo system can withstand freezing. That said, each home comes with low-point drain valves for easy winterization, just like an RV. 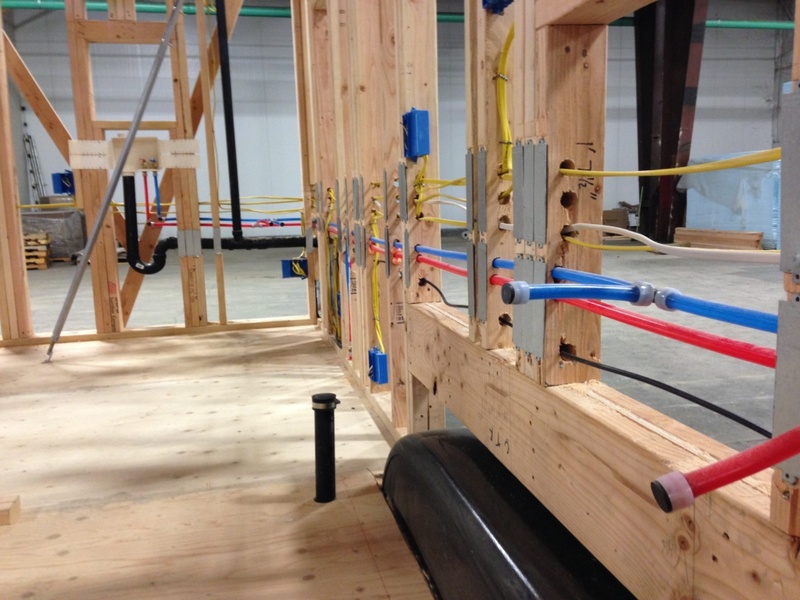 Before our tiny homes are finished, you can see parallel half-inch red and blue (hot and cold) AquaPEX pipes threading their way around the house, connecting kitchen, bath, and laundry areas. The elbow and tee joints we use to route the plumbing through the house are attached to the tubing with the ProPEX expansion fitting system, using a tool designed specifically for that purpose. 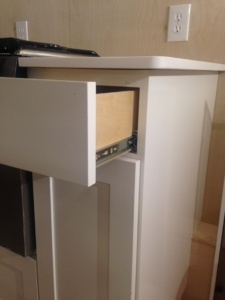 These expansion joints allow for more flow capacity than standard crimp or clamp connections, and the tight bends achieved with AquaPEX tubing help save space, which is always at a premium in a tiny home. The finished product—which uses no glue or minimal threaded connections—only grows stronger with age, producing a plumbing system that will last a lifetime. That’s why you can rest easy in our tiny homes after a long and bumpy day on the road, knowing that, though you can’t see it, you are surrounded by premium plumbing that won’t let you down. As you can see, proper plumbing in a tiny house is critical. 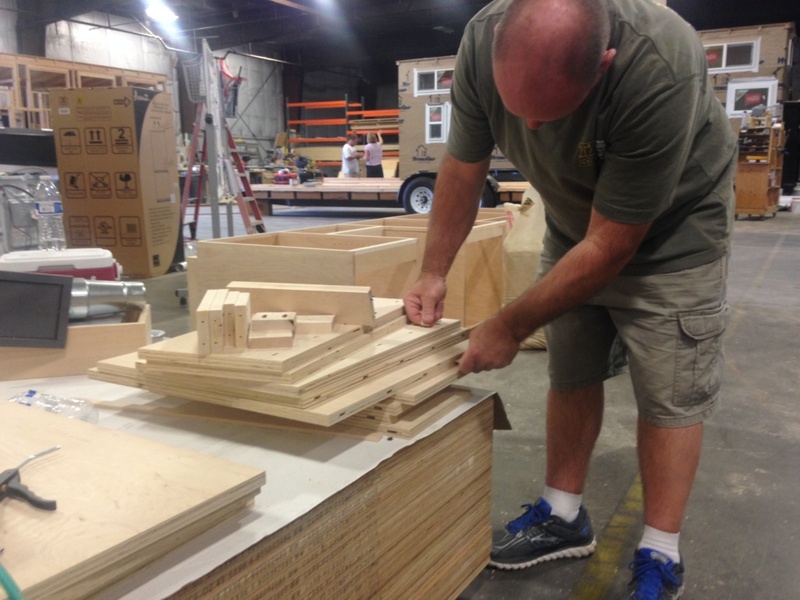 If you would like to learn more or want to get started on your tiny house dream, contact us today! A finished Alki hitting the road!